Week 19 of the Cosmo League’s 2nd Division hosted some fierce draws for some, tough losses for many and huge wins along the table. The final score of Beyond FC versus FC Japan at Randall’s Island was a 3-3 tie this past Saturday. FC Japan hosted visitors Beyond FC to a hotly contested draw last Saturday night which was a surprise to most. Both teams were looking to pick up some wins under the belt and look to experiment with their roster and tactics as their season is essentially over with nothing left to play for. Beyond has had a bit of good fortune this month with a win due to CD Iberia forfeiting along with this point earned. That’s about it, unfortunately. This would be another year without a proper top half finish for the D2 staple. Japan head in the same direction this year and are only looking to improve and look forward to playing next season. 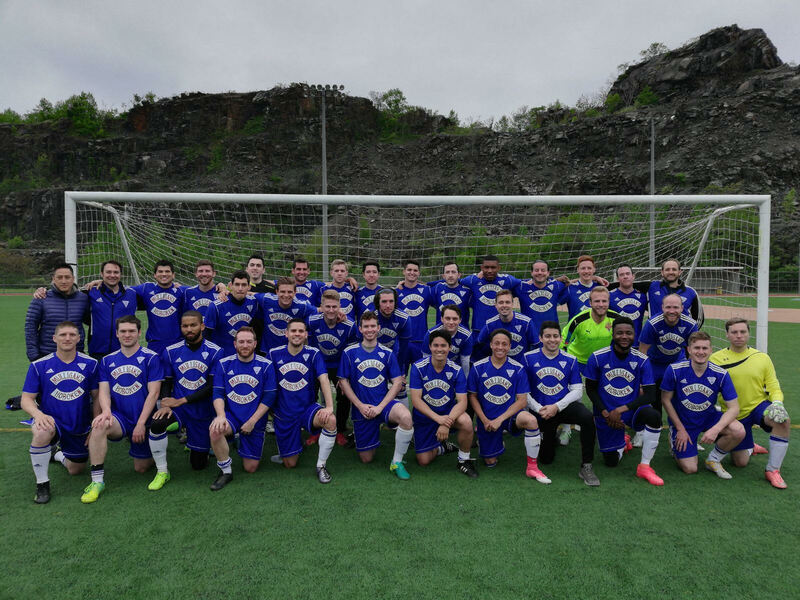 Having collected memorable wins against the impressive Williamsburg International FC and promotion favorites Hoboken FC 1912, they will look to strength their weaknesses during post-season. Beyond plays their final match of the season against 6th place NY Ukranians this Sunday, May 20th at Laurel Hill Field #1 in Secaucus, New Jersey with kickoff at 12:00pm. Japan travel to the Bushwick Inlet in Brooklyn to play against Stal Mielec NY the same day with kickoff at 2pm. A clean sheet and 3 more points for Polish outfit Polonia Gwardia NY at the expense of Panathinakos USA last Sunday. Polonia Gwardia won 3-0 against Panatha USA at Randall’s Island this past Sunday. This was a monumental win for Polonia who have overtaken Hoboken FC at the top of the Southern Division now with 38 points. Opponents Panatha are rock bottom of the league with this final match of the campaign and will finish there with the goals drying up in the end for the Greeks in green. Panathinakos has now failed on both occasions to get a goal past the Poles this season and now has a league record of 2 wins, a draw and 11 losses in 14 matches this season. This currently lands them in a worst league record than their last season finish of 7th in the 2nd Division. They still have Club Deportivo Iberia and Williamsburg to face later in the month to get a few wins in the bag to work on their structure and league play for next season. Polonia Gwardia, on the other hand, has seen their efforts rewarded with their appearence to the top of the South table. They now need to go above and beyond to be assured promotion into Division 1 with their final league encounter against Hoboken this upcoming Sunday, a matchup sure to be a must-watch event this weekend as both teams need results to sway their way. Goals-a-plenty between HFC and WIFC! The Southern Division saw 2 high goalscoring teams in Hoboken FC 1912 and Williamsburg International FC, with both teams collecting a single point. Williamsburg versus Hoboken ended in a 3-3 draw at Laurel Hill Park in New Jersey. One of the more “difficult to predict” matches this week, the goals were coming with some of the best attackers this season, always eager to get on the scoresheet. It was always going to be hard for both parties to set up shop defensively and break down each other’s teams on the pitch. Hoboken’s captain Mikhail Attong saw the cracks form firsthand and was adamant to stay looking at the positives of this hard-fought draw. As the role model on and off the field, Attong was clear when telling the Cosmo League what his priorities and focus is going into the final stretch of the season: momentum. Throughout Hoboken's dynamite start to the campaign, many people were keeping their eyes attached to the Jersey side. They also raised many questions through their dominance with one questions brought up more than most: Are Hoboken D1 ready? Attong doesn't believe so. Hoboken now have to face Polonia Gwardia NY this Sunday, a team that has recent overtaken them for top spot and look like the biggest threat to block their momentum towards D1 promotion come the end of May. Panatha are Williamsburg’s next opponents next at Randall’s Island Field #70 on Wednesday, May 23rd with kickoff at 9pm EST. Ukrainians scrape a win past Iberia! 6th place NY Ukrainians get a 1-0 win over 5th place CD Iberia in the Southern Division. NY Ukrainians are still set in 6th place in the South, not moving much up the table with this win over Club Deportivo Iberia, just above them in the table. With a final match against Beyond FC on the horizon, they aim to finish mid-table and improve from within to assure an even better title push next season. Deportivo remain in 5th currently, and have been trying to keep players fit and ready towards this end of season push. “We were missing some guys this weekend as well as some of the past weekends because this time of year there are so many events…” CD Iberia Coach Carlos Vásquez told the Cosmo League. The 2-time League Cup champions are also looking forward for the prospect of playing 2nd Division football next season. Their final match of the campaign is against Panathinakos on Sunday, May 20th with kickoff at 4pm EST at Randall’s Island Field #70. It was the Reds who came out victorious against Brishna at Randall’s with a fiery 3-2 win, besting the Iraqi club both times in the league. This 3-2 win over the weekend might be the catalyst towards a upper-half finish this season. A team that plays very fluid positive possession, Central Park Rangers Reds’ next matches are against Sporting South Bronx and NYPD FC can result in wins — they have won both initial encounters with them this season , a 5-1 and 4-2 win respectively. Brishna have their next opponents Manhattan Celtic and Sporting South Bronx to play this month but are still in the upper half of the Northern Division with a record of 8 wins, a single draw and 5 losses in 14 matches. They have also won both matches earlier in the season against both sides, both instances winning 3-2. Central Park plays Sporting South at 7:45pm EST at Soundview Park in the Bronx this Sunday. Brishna will play Manhattan Celtic later in the day at 9pm EST at Randall’s Island. Samba Stars flatten Sporting South! KidSuper Samba AC got a big three points at the Baker Athletics Complex at Columbia University against Sporting South Bronx with the Manhattan club winning 11-1. KidSuper are on the verge of reclaiming top spot in the the Northern Division, currently on 29 points this season out of 15 matches and are in 2nd place. 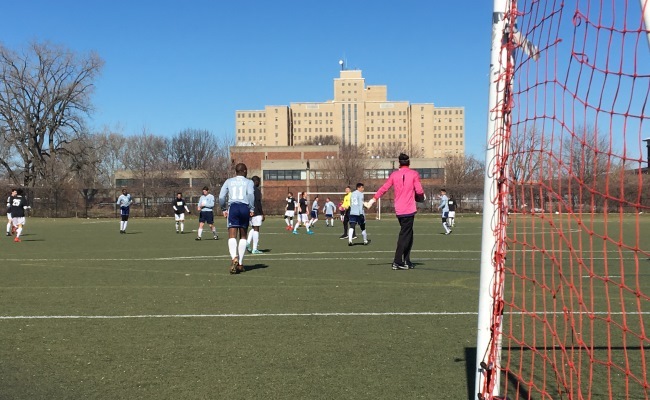 Bronx Supreme has seen their season end prematurely due to many outstanding issues at the club, resulting in forfeits for all their remaining matches. KidSuper will go to 32 points, with a forfeit 3-0 win against Bronx Supreme, and will go top as long as current leaders FC Spring Valley drop points on Sunday to Malatyaspor. A Man of the Match 4-goal / 3-assist performance from Abdoulaye Diallo, a hat-trick for both Alejandro Fernandez and Ebrima Jallow and a goal from Christopher Peralta capped off a 11 goal-fest for KidSuper Samba AC. South Bronx are now in 8th with a 28% win ratio and will face up against Central Park and Brishna in their final games of the season. Malatyaspor USA played Manhattan Celtic to a 5-0 win for the Turks. Malatyaspor will play against FC Spring Valley at the North Rockland Soccer Complex in Thiells, NY this Sunday at 11:00am EST kickoff time. Celtic will play Brishna on the same day at 9:00pm EST at Randall’s Island Field #70. And it’s a BYE week for 3rd place Southern outfit Stal Mielec NY and Northern leaders FC Spring Valley. Spring Valley play early at 11am EST against Malatyaspor USA on Sunday and Stal Mielec plays against FC Japan later in the day at Bushwick Inlet with kickoff at 2:00pm EST.